New Mexico is located in the southwest United States. New Mexico is the 5th most extensive, the 36th most populous, and is one of the least densely populated of the all the United States. New Mexico, or Nuevo México in Spanish, is often incorrectly believed to have taken its name from the nation of Mexico. However, New Mexico was given its name in 1563, and again in 1581, by Spanish explorers who believed the area contained wealthy Indian cultures similar to those of the Mexica (Aztec) Empire. Modern Mexico, formerly known as New Spain, adopted its name in 1821 — centuries after New Mexico already had its name. Inhabited for many centuries before European exploration, New Mexico was subsequently part of the Imperial Spanish viceroyalty of New Spain, then part of Mexico, and finally a U.S. territory before attaining statehood. Among U.S. states, New Mexico has the highest percentage of Hispanics, including descendants of Spanish colonists and recent immigrants from Latin America. It also has the second-highest percentage of Native Americans after Alaska, and the fourth-highest total number of Native Americans after California, Oklahoma, and Arizona. New Mexico played a role in the Trans-Mississippi Theater of the American Civil War with both Confederate and Union governments claiming ownership rights over the New Mexico Territory. In 1861 the Confederacy claimed the southern tract as its own Arizona Territory and waged the ambitious New Mexico Campaign in an attempt to control the American Southwest and open up access to Union California. Confederate power in the New Mexico Territory was effectively broken after the Battle of Glorieta Pass in 1862. However, the Confederate territorial government continued to operate out of Texas, and Confederate troops marched under the Arizona flag until the end of the war. 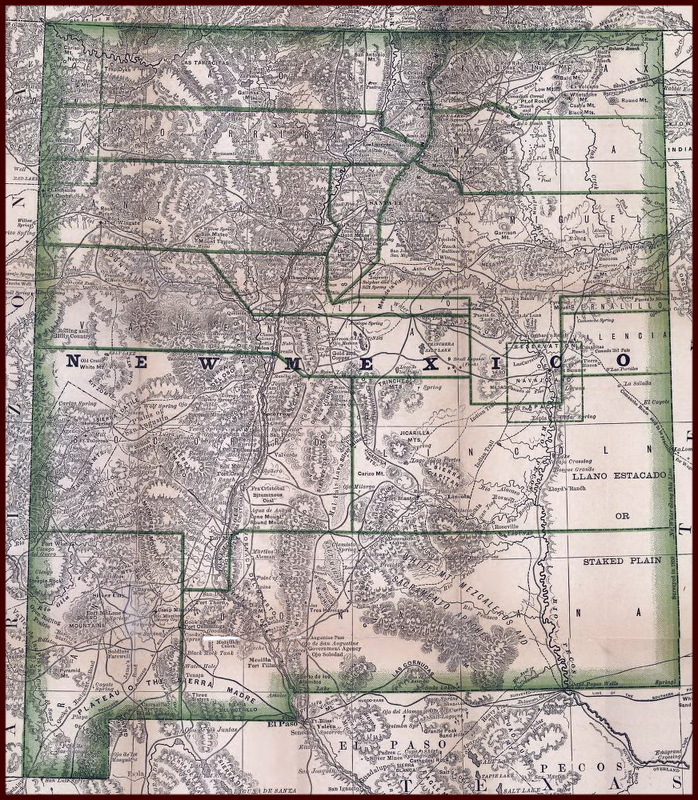 The compromise of 1850, created the current boundary between New Mexico and Texas. It is also considered during this time a surveyors error awarded the Permian Basin to the State of Texas, which included the city of El Paso. Claims to the Permian were initially dropped by New Mexico in a bid to gain statehood, in 1911.